Class 10 High School / Matric Exam Passed in Any Recognized Board in India. Class 10 High School with Valid Driving License LMV / HVM. Interested Candidate Can Read the Full Notification Before Apply Online. Disclaimer : The Examination Results / Marks published on the Website is only for the immediate Information to the Examinees and does not to be a constitute to be a Legal Document. While all efforts have been made to make the Information available on this Website as Authentic as possible. 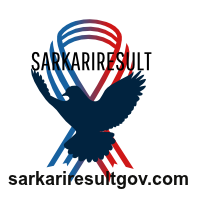 We are not responsible for any Inadvertent Error that may have crept in the Examination Results / Marks being published on this Website not for any loss to anybody or anything caused by any Shortcoming, Defect or Inaccuracy of the Information on this Website.